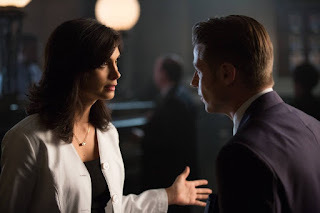 Gotham started its new mid-season this week and I have to say, the program seems to get darker with every episode. I’m not complaining, mind you. Just sayin’ . . .
Last season culminated with Detective Jim Gordon (Ben McKenzie) pulling a Frank Castle on Theo Galavan (James Frain), a billionaire who engineered a successful run for mayor but actually was the head of a criminal secret society. To insure Galavan wouldn’t escape justice for his crimes, Gordon shot him in the head, summarily executing him. This season began with Gordon lying under oath about the circumstances of Galavan’s death to his boss, Captain Nathaniel Barnes (Michael Chiklis) and District Attorney Harvey Dent (Nicholas D’Agosto); he doesn’t report the villainous relationship between Eddie Nygma (Cory Michael Smith) and the Penguin, Oswald Cobblepot (Robin Lord Taylor). He even lies to his own fiancé (Morena Baccarin)! Let’s see: murder; perjury; withholding evidence. Hardly the behavior of a hero police officer. Gordon’s lies would have been exposed if the Penguin had told the truth. Both Dent and Barnes clearly were suspicious that Gordon’s story didn’t hold water. 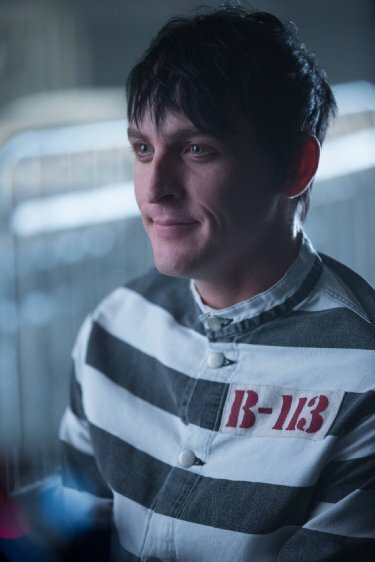 But Cobblepot backed up Gordon’s version of what happened to Galavan – a version that bore only a nodding resemblance to the truth – and took the fall for the slaying. 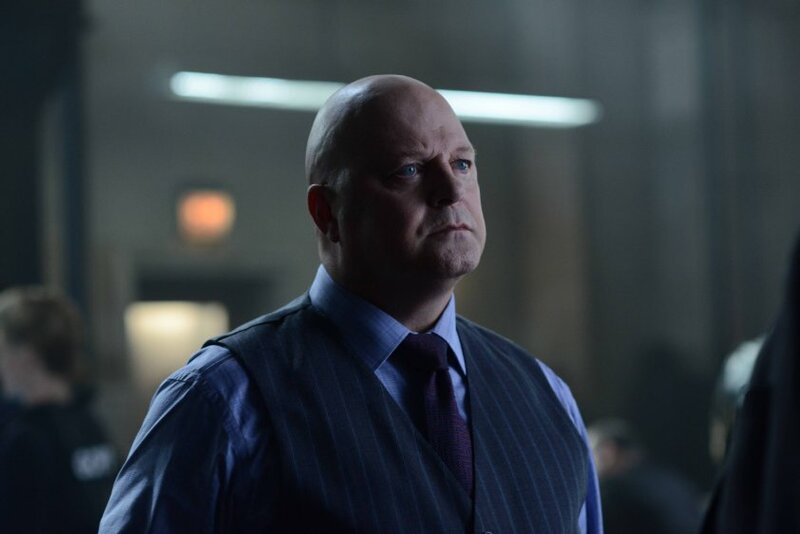 During his interrogation, Cobblepot tells Captain Barnes he isn’t a criminal – he’s insane. 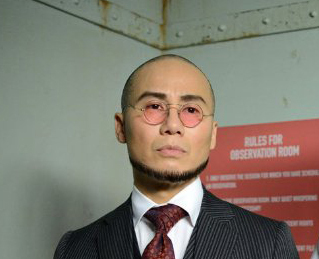 As a result he is sent to Arkham Asylum, where he falls under the control of Dr. Hugo Strange (B.D. Wong). Trust me, Strange is not somebody you want controlling you. 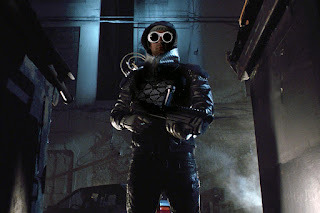 Meanwhile, Victor Fries (Nathan Darrow), a cryogenics expert who hoped to freeze his terminally ill wife until a cure could be found for her disease, makes his appearance, using a gun that sprays a super-cooled gas combination to abduct a series of victims for use in his experiments. While looking for her husband in his basement laboratory, Fries’ wife (Kristen Hager) accidentally stumbles on his grisly gallery of frozen victims. 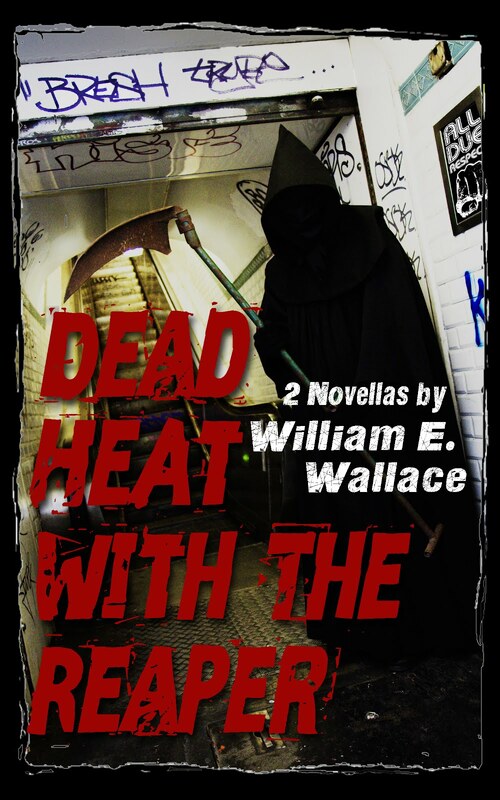 She calls the police to report her husband’s ghoulish crimes and is taken into custody just as he returns from buying her a medication she desperately needs. Fries slips away and it is clear we will be seeing more of him in future episodes. That’s a lot of exposition for an hour-long television program, but there is plenty of action to support it and the entire story moves along quickly. Best yet, it offers a variety of leads to action that will unfold later in the season. We will undoubtedly see more of Dr. Strange, the Penguin, Galavan’s sister, Tabitha, and Butch Gilzean, a former Penguin flunkey who has replaced him – at least temporarily – as the crime lord of Gotham. Best of all, some of the characters who were fifth wheels in the program in its earlier episodes have been eliminated entirely. 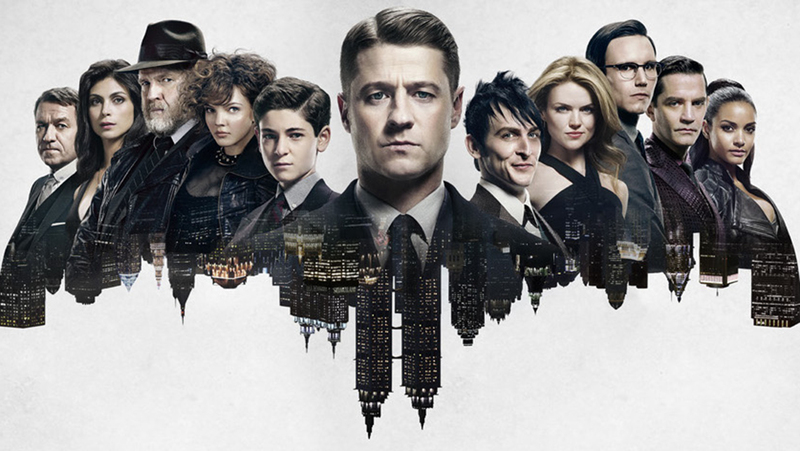 These include the whiny psycho Barbara Kean (Erin Richards), Gordon’s first fiancé, and Fish Mooney (Jada Pinkett Smith), a gang leader whose primary reason for existence was to establish the Cobblepot character. Their exit from the program cleared the way for new villains and smoothed out road bumps in the plot. Not that they are gone forever, however. Villains in Gotham have a surprising way of coming back to life again, a fact that complicates Gordon’s life but guarantees him long-term employment as a crime fighter. Interestingly, missing from this season’s opener were Bruce Wayne (David Mazouz) and Alfred Pennyworth (Sean Pertwee). And Selina Kyle (Camren Bicondova), another mainstay of the program so far, makes only a brief, wordless appearance while eavesdropping on Butch and Tabitha. With their garish outfits, bizarre faces and gaudy makeup, the villains in the Batman comic always seemed slightly ridiculous. 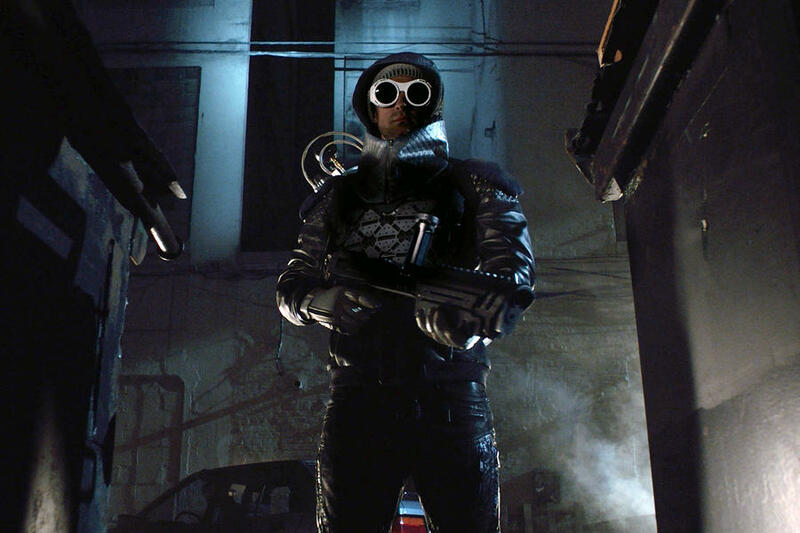 The weird clothes have been dumped in Gotham, and the actors and actresses portray their characters as believable people instead of jokey clowns in fright wigs and funny uniforms. They may be psychotic or sociopathic, but they aren’t freaks. The acting is uniformly good, particularly among the players who appear as criminals and archfiends. 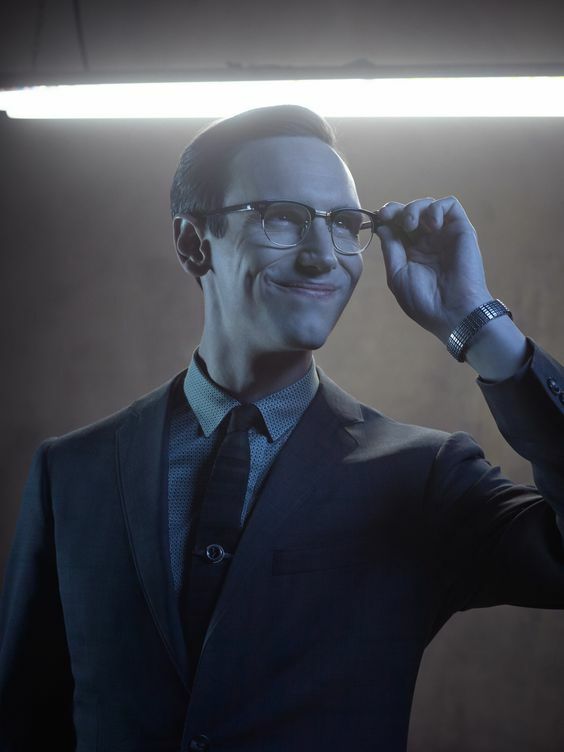 Taylor as the Penguin and Smith as Nygma (The Riddler) are real standouts. 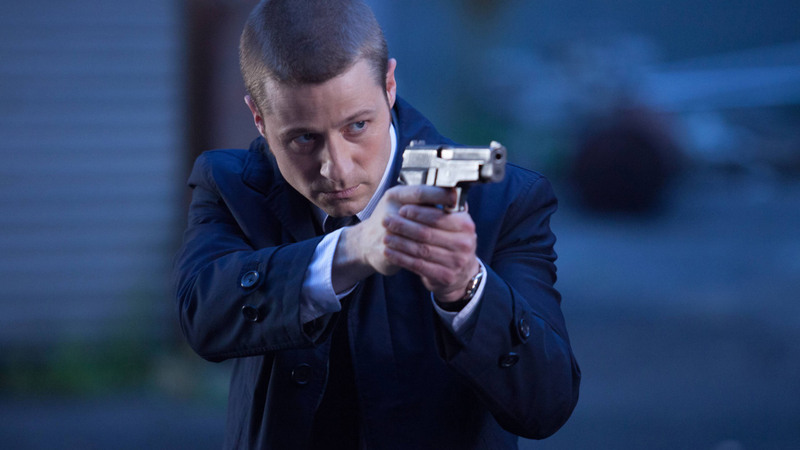 I’ve enjoyed Gotham since I first started watching it, and the anti-hero turn that Jim Gordon took last season makes the character more complicated and interesting. The program, though grim, is quite enjoyable and the villains that have been introduced so far are an intriguing take on their comic book counterparts. Though Gotham is a totally fictitious metropolis, judging from the cars and clothing that are on display in the program, the setting is contemporary. Each of the villains is portrayed as being in his or her early 30s which makes a certain amount of sense, since they must be young enough to physically operate in a violent world of criminality but mature enough to be credible as leaders of their various criminal groups. But Bruce Wayne is just a kid in this program, a preteen who is a prep school student and still engages in juvenile activities. There has to be a twenty year age difference between “Master Bruce” and what will be his criminal foes when he dons the cowl and cape to avenge his parents’ death. It seems to me by the time Wayne becomes The Batman, some of these criminals will be close to early retirement age. I don’t quite understand how the writers intend to bridge the generation gap, or what elixir of youth the villains are taking that will allow them to mark time while they wait for their future nemesis to catch up to them chronologically. Once again, I’m not complaining. Just sayin’. . .